To (1) assess the association between dysphagia and malnutrition as well as other related factors and (2) investigate the nutritional interventions that are initiated in dysphagic older patients. Cross-sectional, multi-center point prevalence measurement. 3174 hospitalized patients, 65 years or older. A standardized and tested questionnaire was used for the data collection, which was based on both inspections of the patients and information documented in the patient chart. Medical diagnoses were assessed by referring to the International Classification of Diseases. Dysphagia was measured by asking the patient a dichotomous question. Several other data points were collected including: gender, age, number of diseases, malnutrition, care dependency scale (CDS) score and dependency during activities of daily living (ADL). To investigate the associations between dysphagia and malnutrition and other associated factors, cross tabulation, chi-squared test, t-test and Mann-Whitney U test were used. The prevalence of dysphagia among these patients was 7.6%. Dysphagia and malnutrition were significantly associated (< 0.001). Patients with dysphagia had statistically significant lower BMI values (p = 0.01), more medical diagnoses (p = 0.003) and were more care dependent (p < 0.001) than patients who did not suffer from dysphagia. The frequency of underlying respiratory diseases, dementia, nervous system disorders and cerebrovascular accidents also differed significantly between dysphagic and non-dysphagic patients. The following nutritional interventions were most frequently initiated in patients with dysphagia: provision of texturemodified food/fluid (32.2%), referral to a dietitian (31.4%), provision of an energy- and/or protein-enriched diet (27.3%), monitoring of nutritional intake (21.5%), enteral nutrition (19.4%) and provision of energy-enriched snacks (15.7%). 24% of patients received no nutritional interventions. 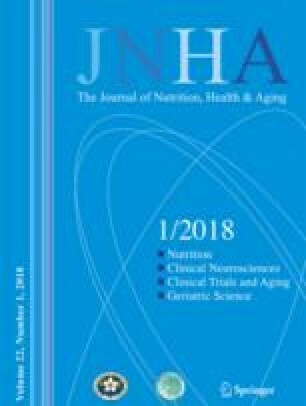 This study demonstrates that a very strong association exists between dysphagia and malnutrition as well as high levels of care dependency and dependency in activities of daily living. Nearly one-quarter of the patients did not receive any nutritional intervention. Therefore, a potential for the improvement of nutritional therapy in older dysphagic hospitalized patients still exists.